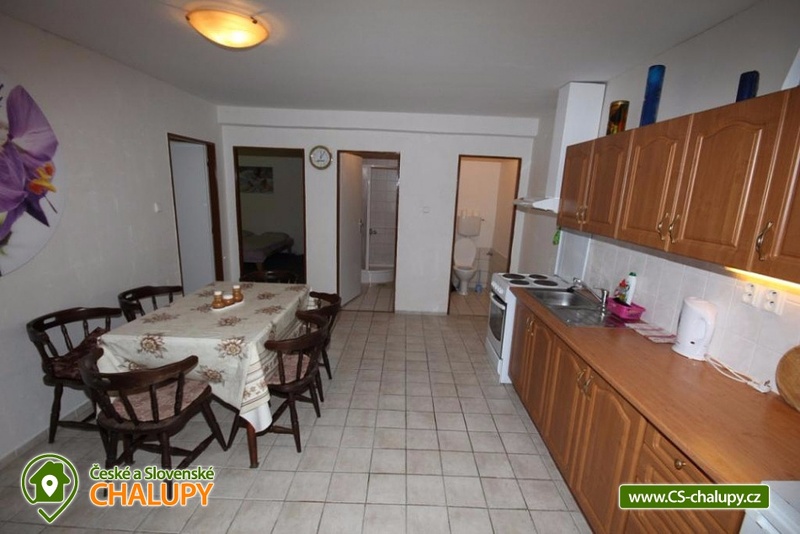 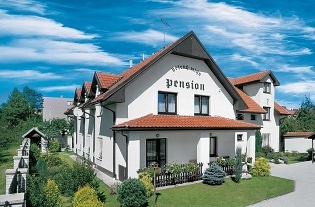 Pension pod prameny - Branov. 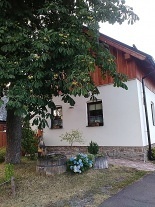 Rent cottage Central Bohemia, Rakovník. 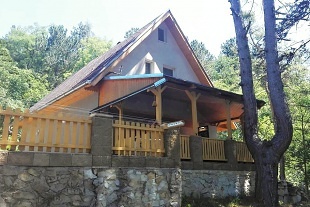 Secluded accommodation - Křivoklátsko. 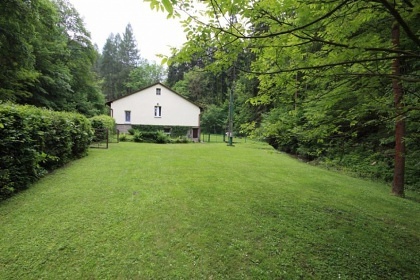 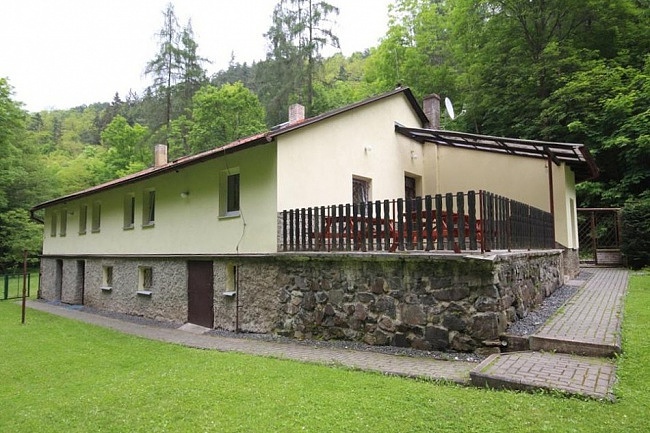 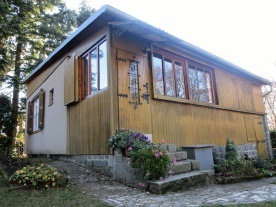 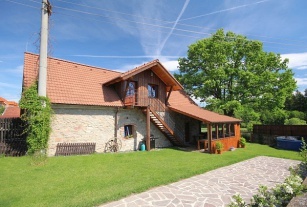 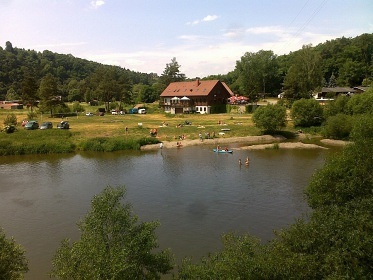 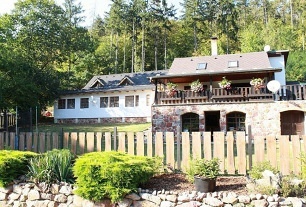 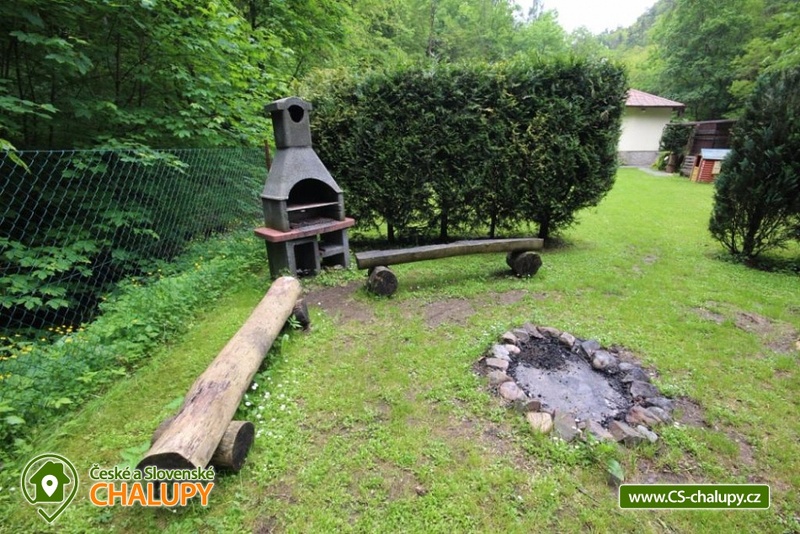 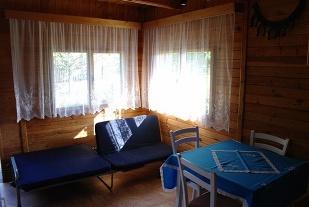 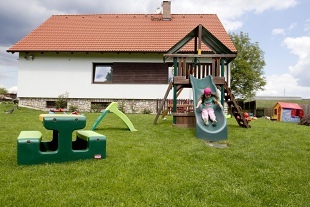 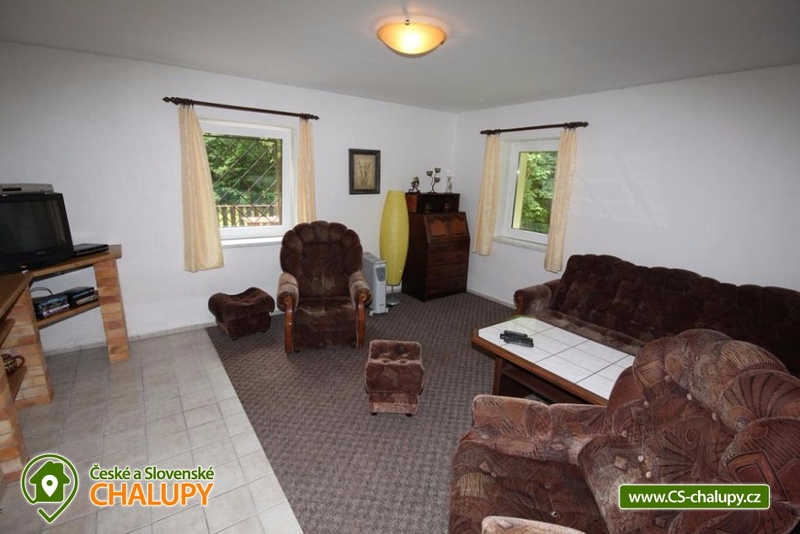 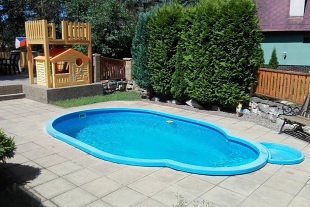 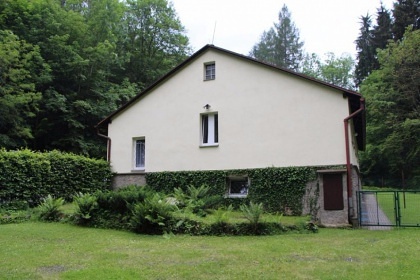 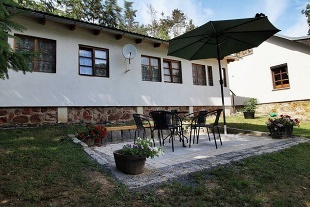 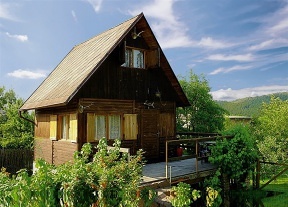 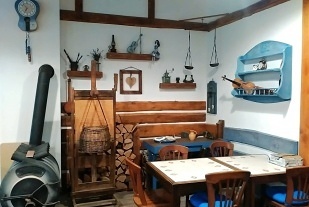 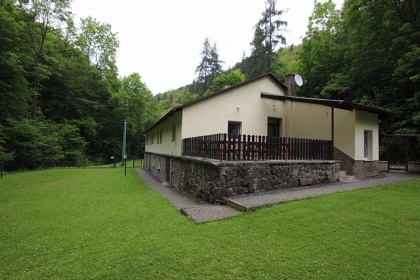 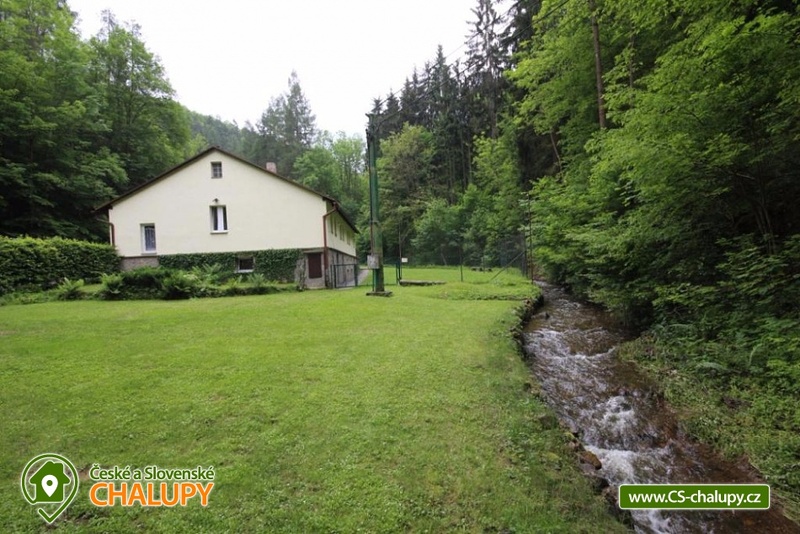 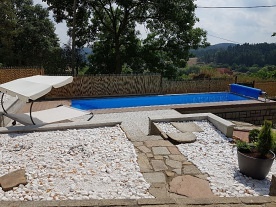 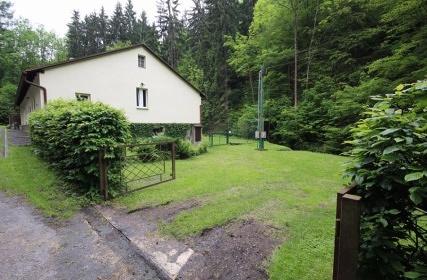 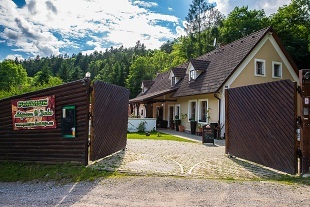 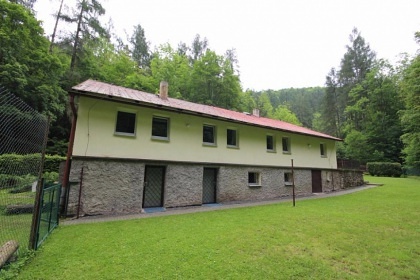 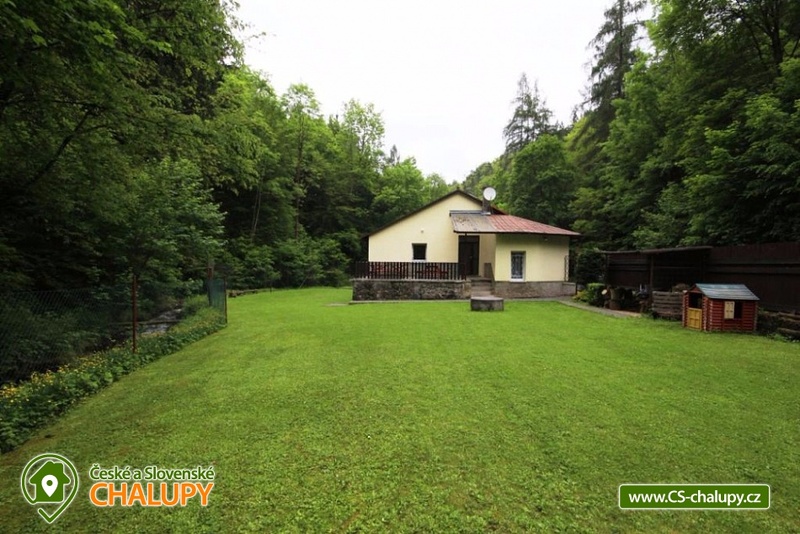 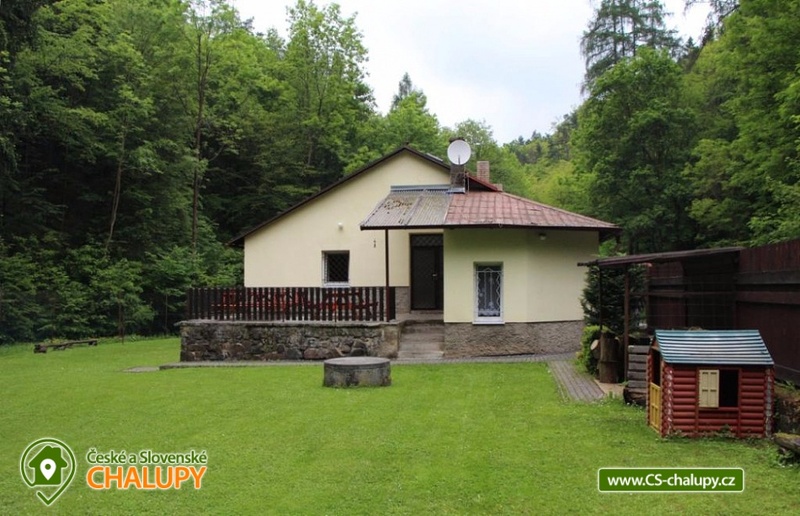 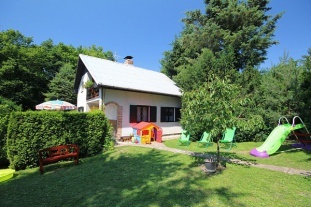 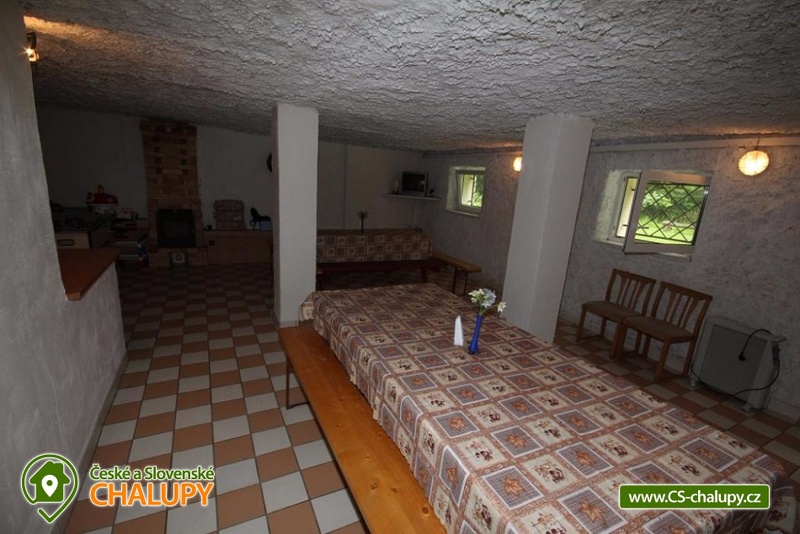 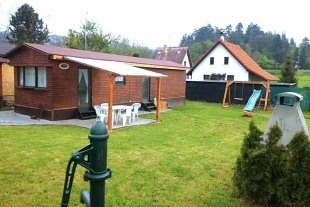 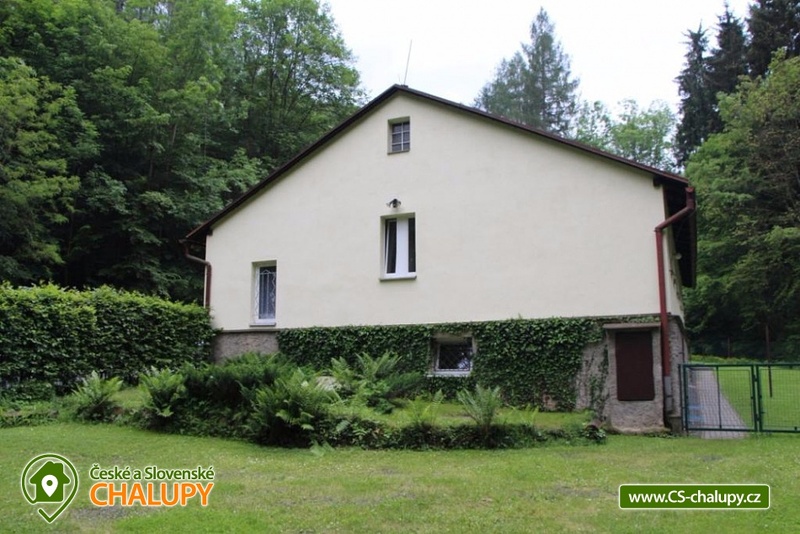 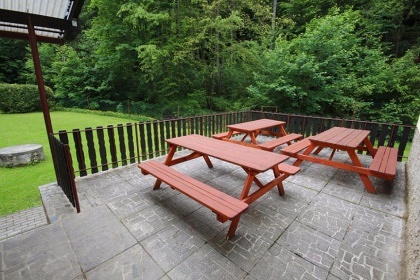 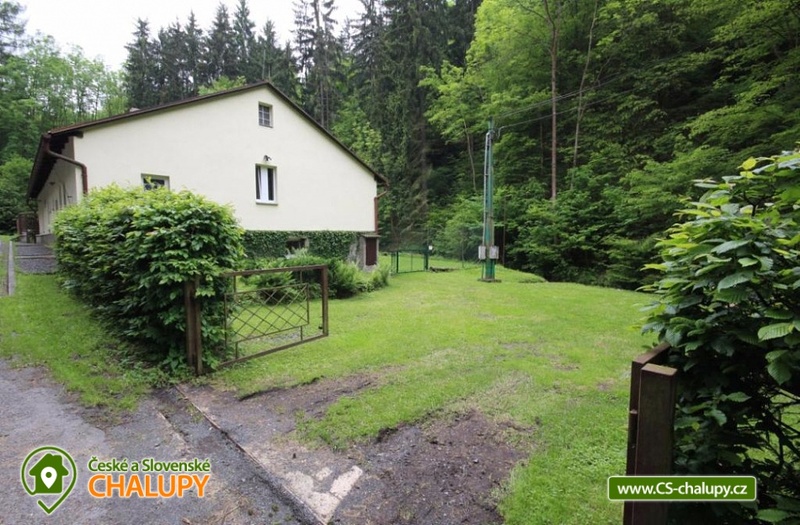 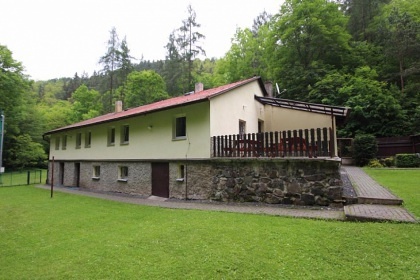 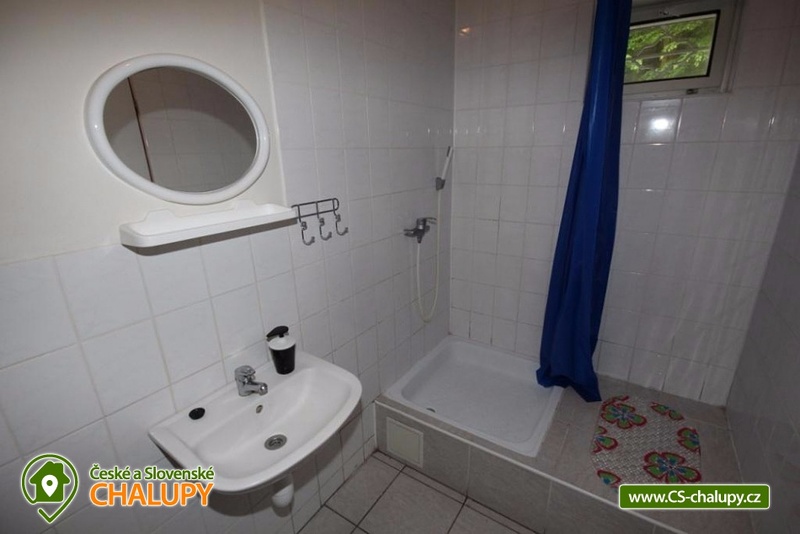 The cottage is situated in a secluded area in the beautiful nature reserve Křivoklát. 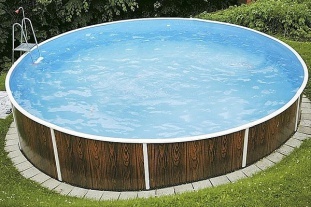 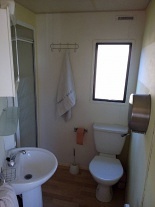 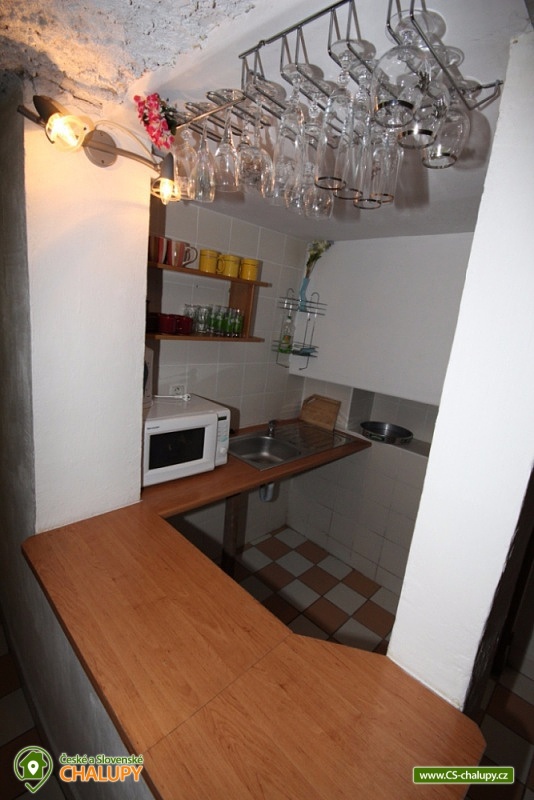 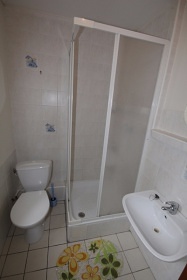 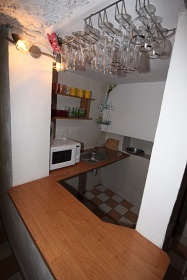 The property can be rented as a whole to a group of clients in private, or you can also rent individual apartments. 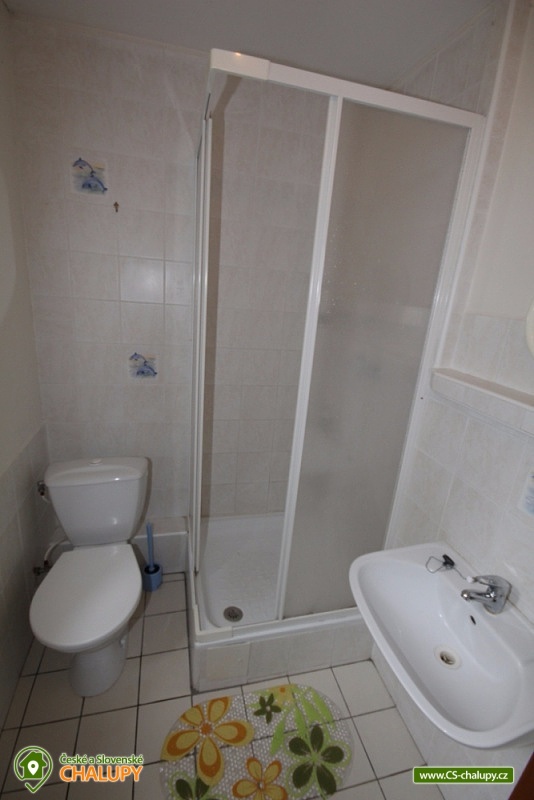 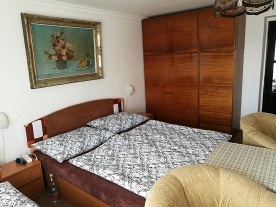 There are 4 apartments (10, 6, 5 and 4 beds) and common areas. 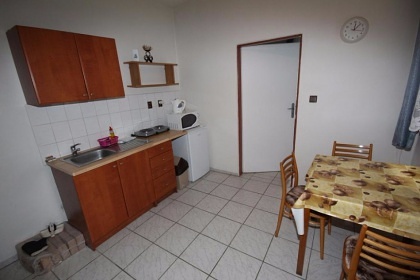 All apartments have a fully equipped kitchen (electric cooker, microwave, fridge, coffee maker, electric kettle), TV + SAT and bathroom including bathroom with shower and toilet. 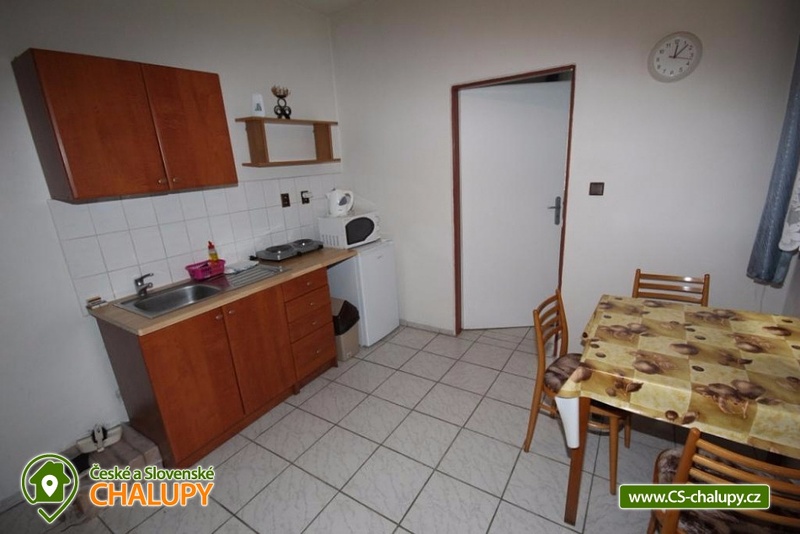 The first apartment consists of a kitchen, a living room with a sofa bed (which can accommodate 2 extra beds) and two bedrooms. 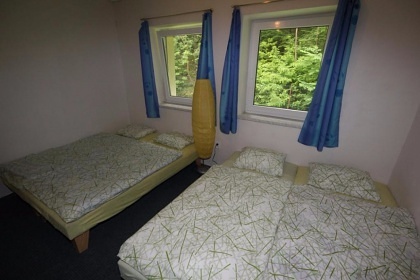 In the first one there are 4 beds and in the other 3 beds with 1 extra bed. 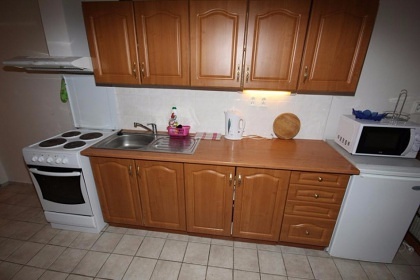 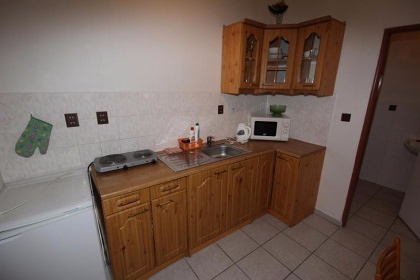 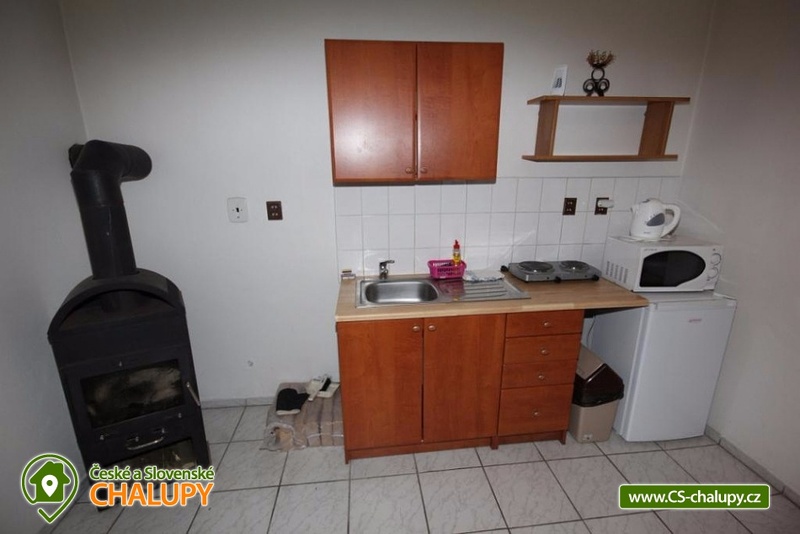 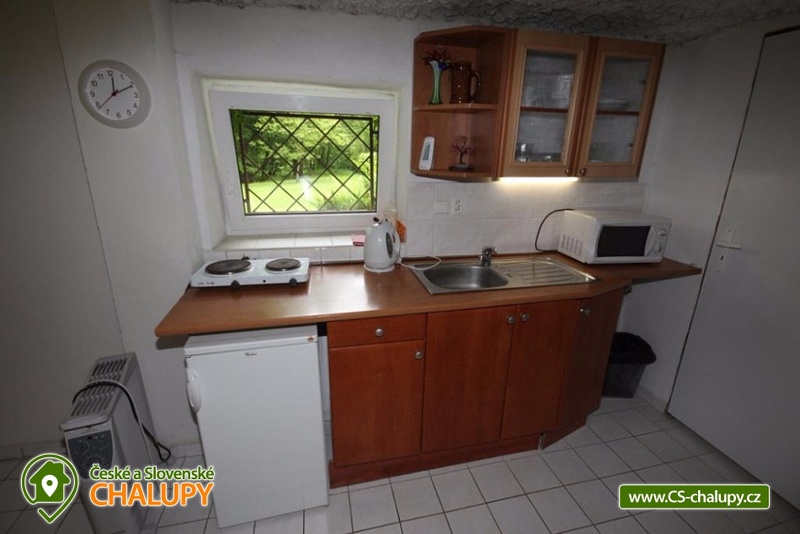 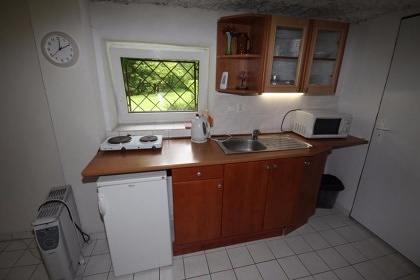 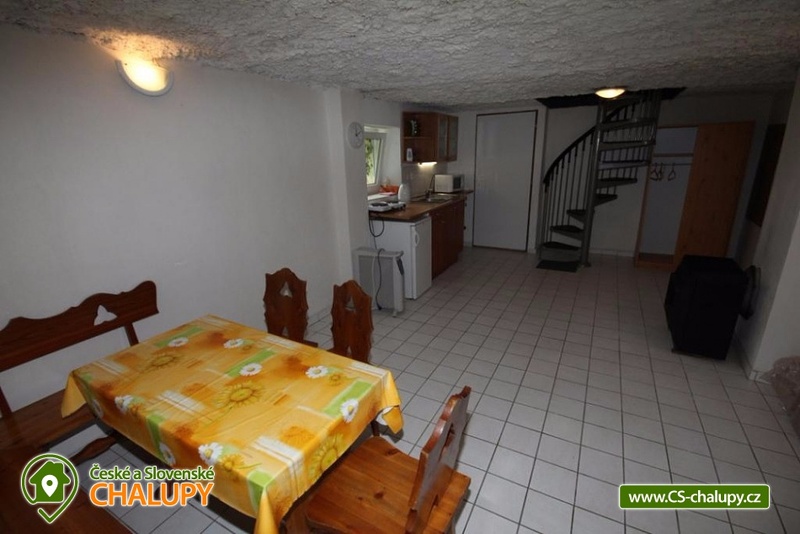 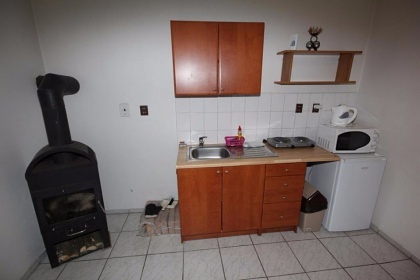 The second apartment has a living kitchen with 2 beds and a bedroom with 3 beds. 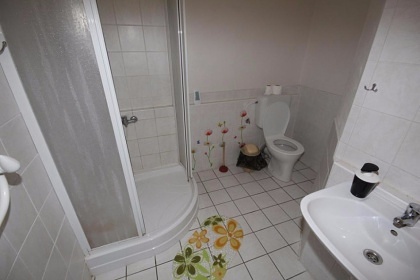 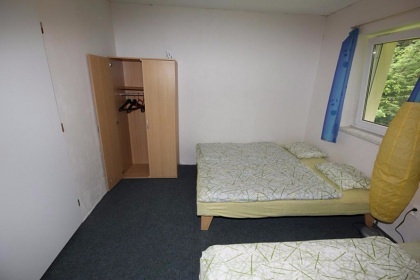 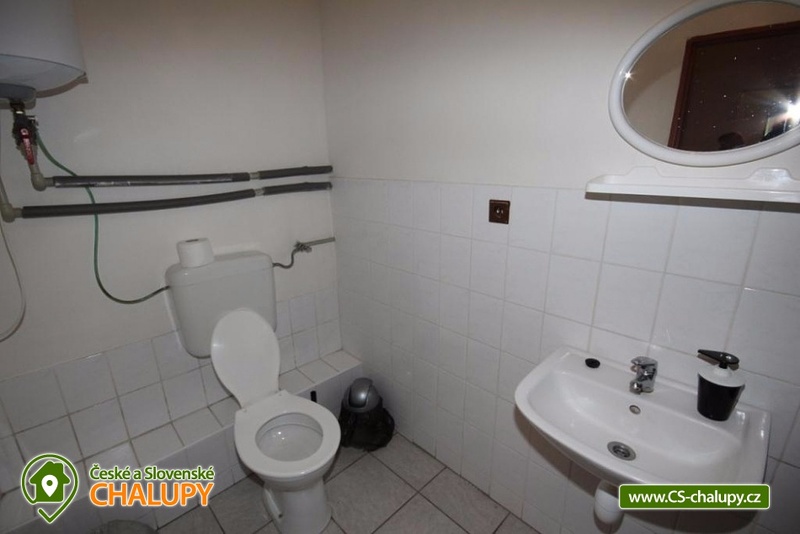 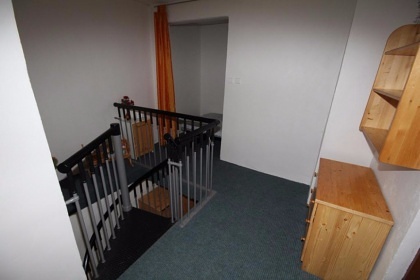 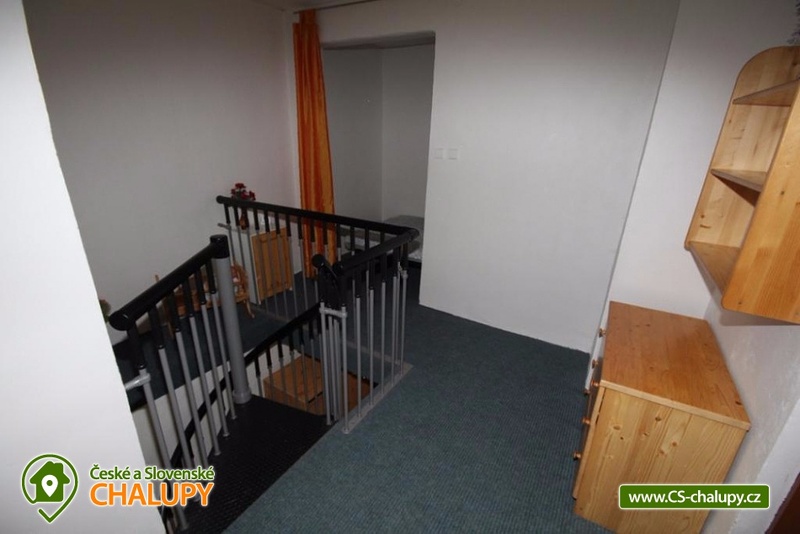 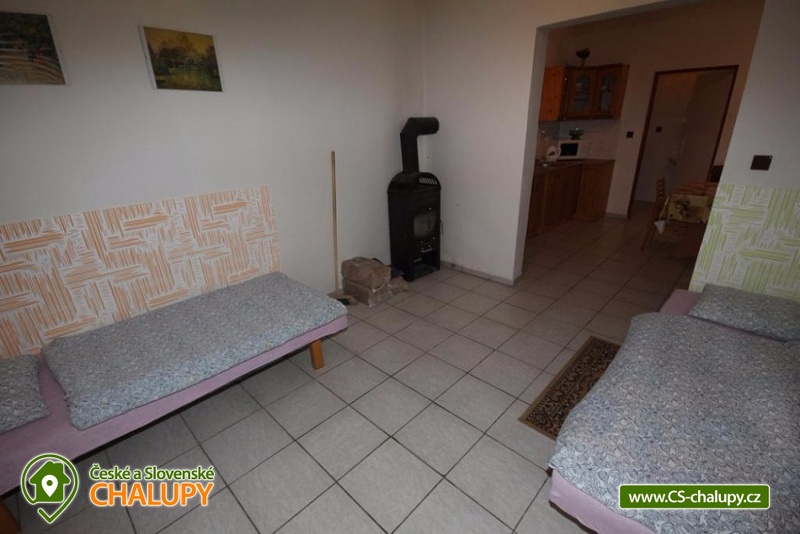 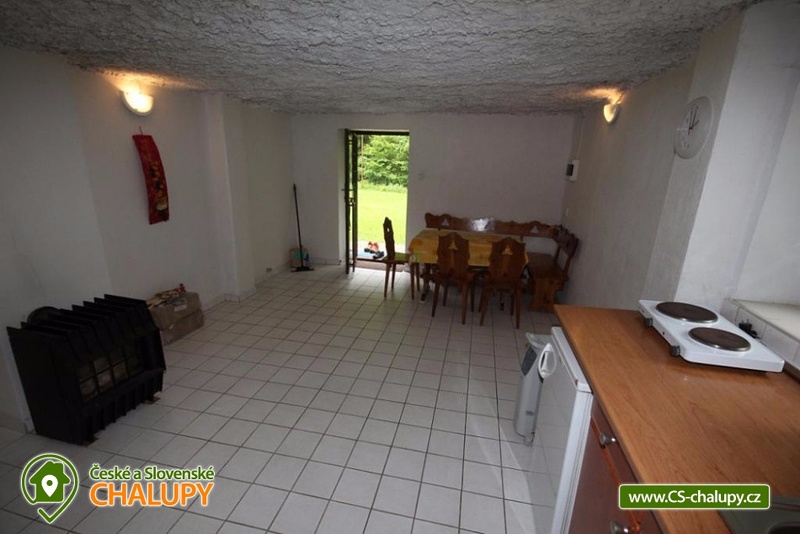 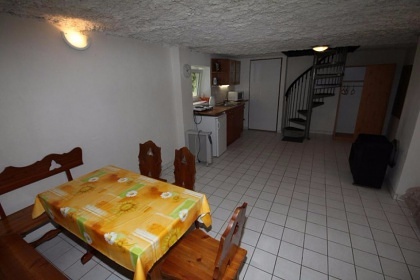 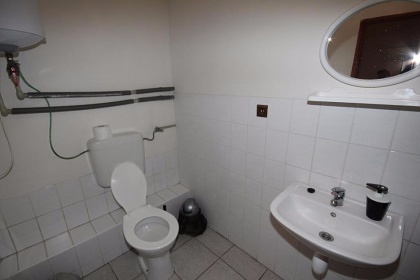 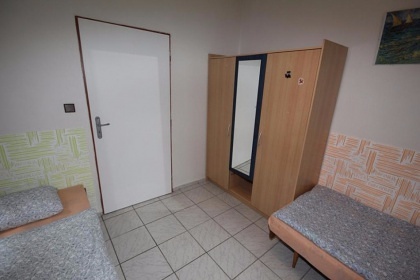 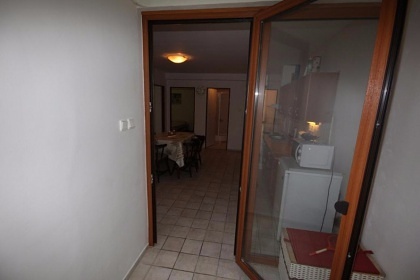 In the third apartment there is a kitchen on the ground floor and on the first floor a bedroom with 3 beds (with the possibility of 1 extra bed), with a corner with another 2 beds. 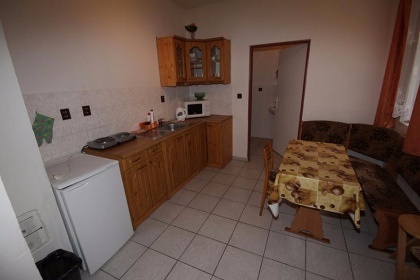 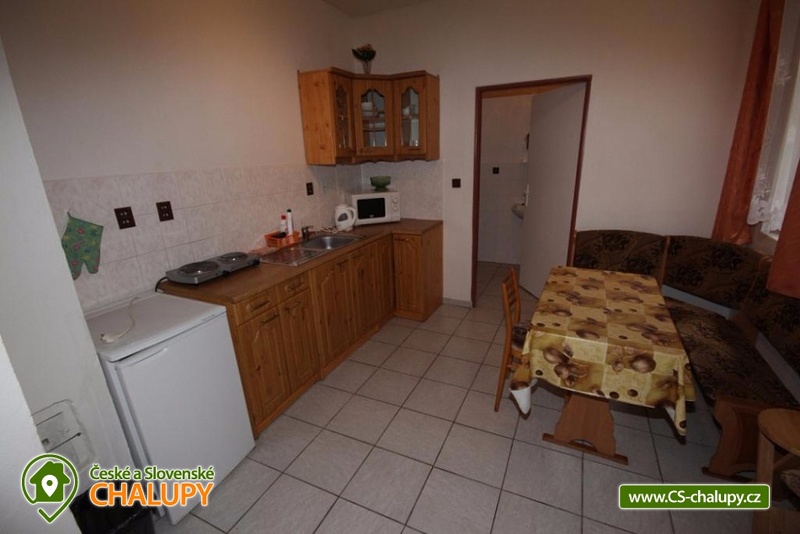 The fourth apartment consists of a kitchen and a bedroom with 4 beds. 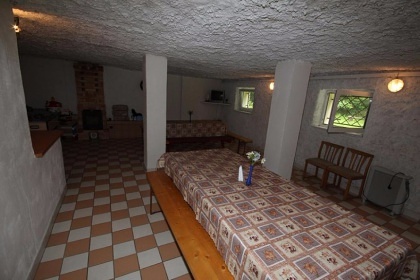 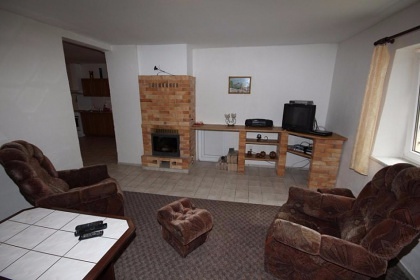 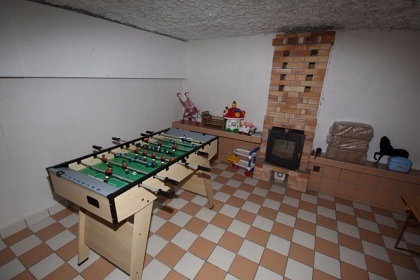 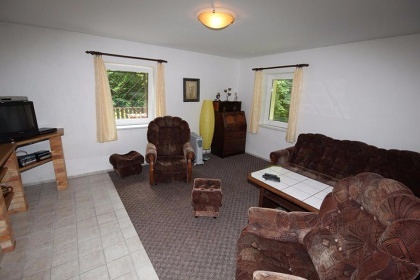 There is also a common room in the basement, this is equipped with a kitchenette, a seating area, a TV and an entrance directly to the garden. 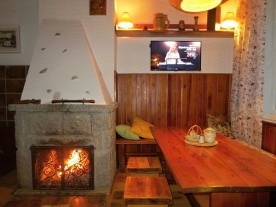 Heating is solid fuels, fireplace stoves or fireplaces with linen are in all apartments and in the common room. 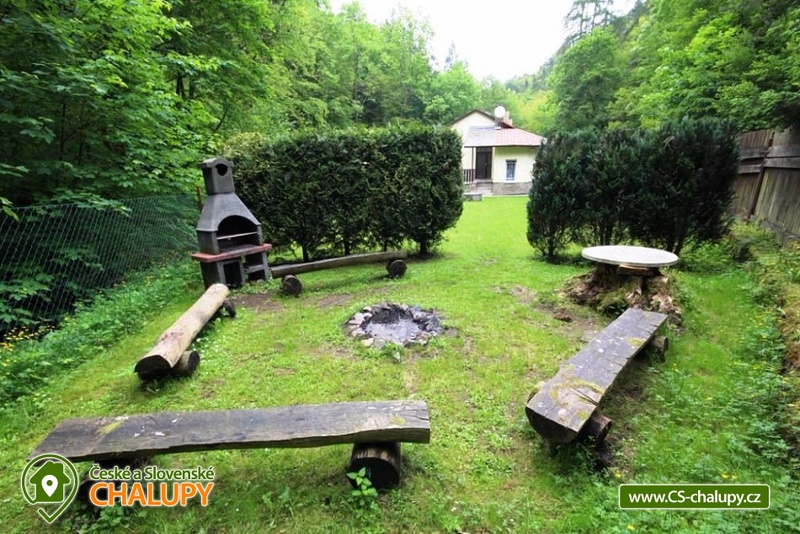 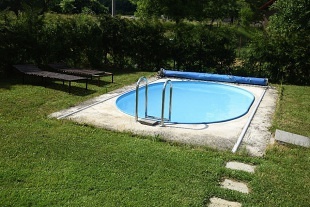 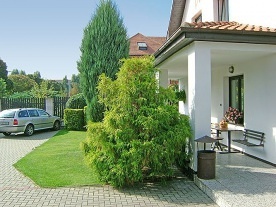 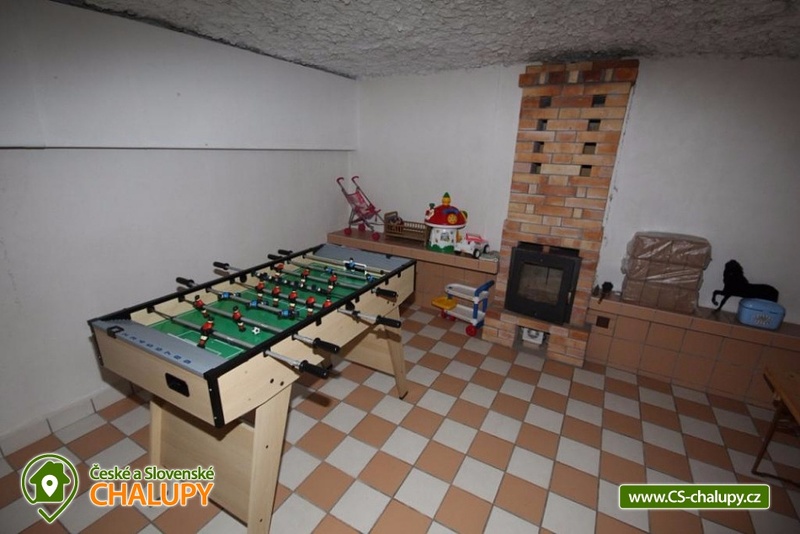 The property has an outdoor terrace, a spacious garden with barbecue area, grill, fireplace and volleyball court. 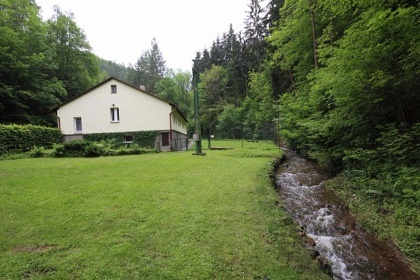 At the boundary of the land flows a brook with clear water and a garden of 1200m2 is used.